Chris Collard and Thomas Townsend – successful entrepreneurs, who are working in IT sphere for a huge amount of time. One day they decided to apply their professional experience and create an amazing project together. 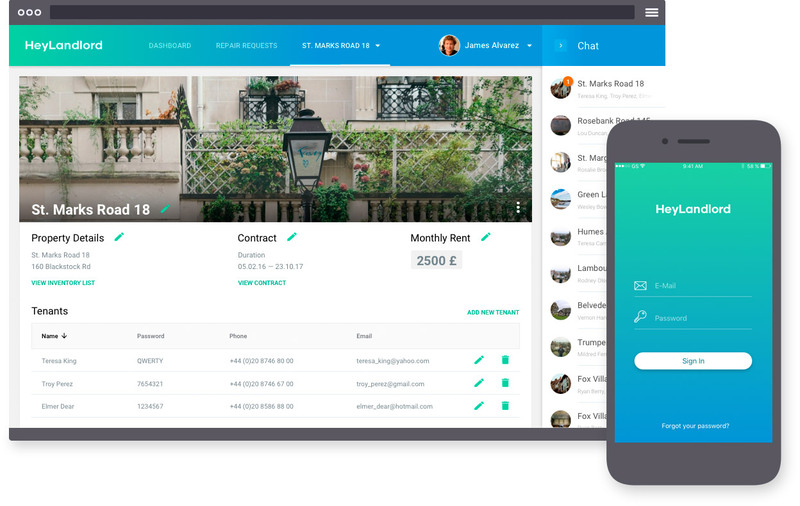 The main idea was to build a product that helps automate communication between Landlords and tenants. The concept implies that Landlords and property managers can easily supervise their multiple estates and promptly track and submit maintenance requests from their tenants. The main goal was to create a functional MVP that could not only showcase main features of the product, but also satisfy end users’ needs and receive subsequent funding to improve the product. Before starting development process, we had to complete modern and user-friendly design according to the given WireFrames and User Stories, choose the right technology stack and the business model that would be more suitable for development. Full MVP should consist of web application for LandLords and mobile application for Tenants. The first step was UX and UI. We performed deep analysis including target audience research and building a user profile. Collecting created User Stories and WireFrames we developed a visual language to the future application according to the needs of potential users and client’s wishes. 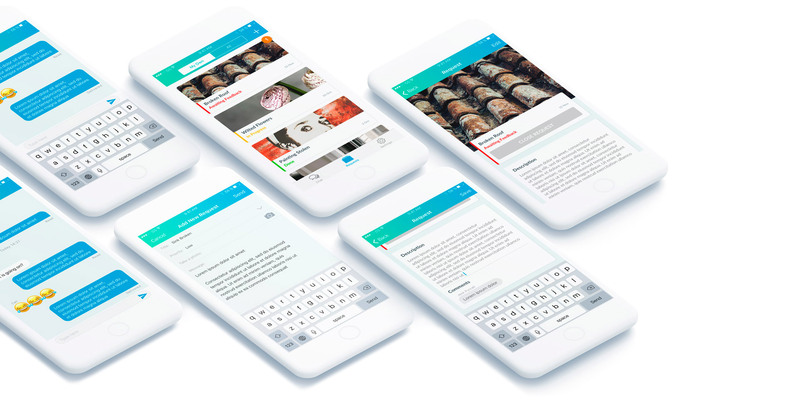 After that, we initiated the development of iOS and Android application with the same functions as in web application. The overall process of work was exciting to our team, we had a chance to participate in innovating process, apply our skills and collaborate with great customers. Finally, after testing the product we successfully released on March 20, 2017. At the moment HeyLandLord is a functioning product that is gradually gaining its audience. We are constantly working on the improvements and adding new features to help HeyLandLord become a unicorn. I’ve been working with XPGraph for several years for now. Great communications during projects with high quality design and code! I highly recommend working with them! Global service for interaction between poker clubs and players of all levels.